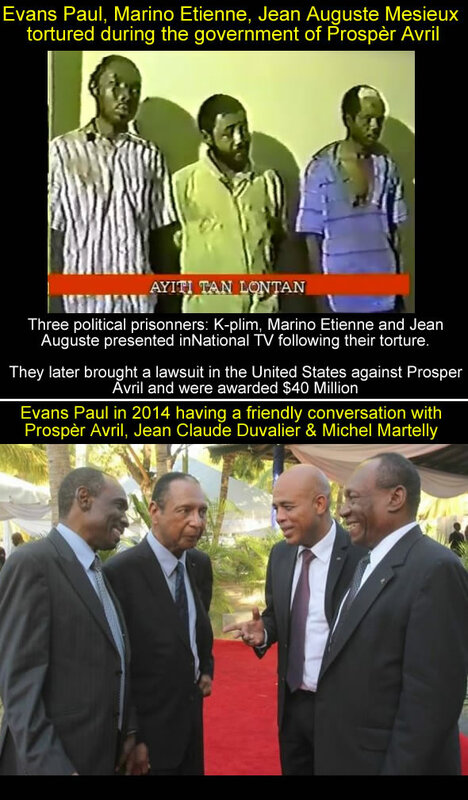 Here is a recent picture of former political prisoner Evans Paul in a friendly conversation with two former Haitian Presidents: Prosper Avril and Jean Claude Duvalier. However, the relationship has not always been what shows in this picture below. The picture of Evans Paul with actual president Michel Martelly and the two former presidents having a friendly conversation was not always what it is today. Quite contrary, Mr. Evans Paul is a victim of the both Prosper Avril and Jean Claude Duvalier.